Discussion in 'General IH Tech' started by MrMag00, Oct 8, 2004. I have a few Questions and hope that someone can help. 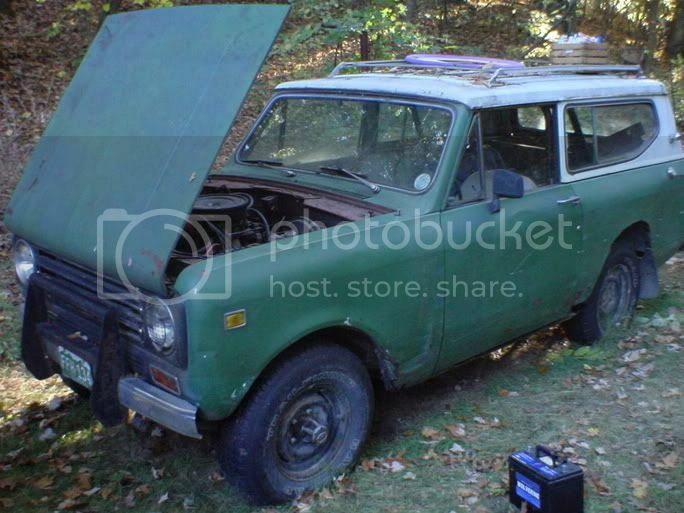 I am in the process of helping a friend we are fixing up a 1972 Scout II 345 V8. The issue we are having is that under the hood it looks like spagetti from the firewall. One of the 2 plugs that come out from firewall is gone and wires simply hang out of the hole . I see a Gold box on the fenderwell (pass-side) which is not hooked up ? I cannot find a voltage regulator anywhere on either firewall . He said he had it running...I am suspect that someone came to "help" him who was totally clueless and may have removed things. I do get voltage at coil so a charged battery and new starter are first and will be installed tommorow. I have some scans of wiring harness pinouts for firewall plugs but it is for the electronic ignition, the second diagram I found shows voltage regulator in the system. I think this thing is wired without it ? Is that possible ? I know it may run for awhile but I wouldn't think it would not start more than a few times with a battery that doesn't get charged ? 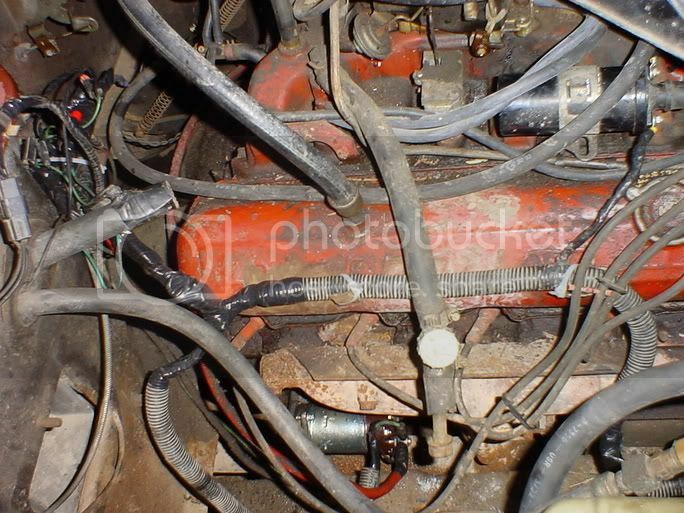 I am looking for picture(s) a diagram maybe from a current owner of a 1972'ish Scout II showing wiring under the hood/gauges. I need this because I think I am going to pull all the wires out and start fresh with a "Painless Kit" though that will have to wait untill January of next year. At this time It needs just to run to get it 50-70 miles back to a shop to work on it. I have Service Manual #'s but am skeptical about purchasing because of what I read about how confusing the wiring diagrams are. I have Painless Kit #'s ready to order but if this thing blows too much smoke or it runs bad maybe other things need attention first. I swapped out an engine in this truck about 9 yrs ago and then the kid blew it up it passed owners 3 times and made it's way back into my life with another IH original engine that amazing I think . I though that might be the best way to get her back on the road using some of the existing wires but at almost 50yrs old I fail myself with all the information I need could you type out if you would a quick start run diagram, I believe I just need hot from starter to coil then to dist to get it up and running but I am not sure and it was a long day at work . Thank you for the quick reply anyone else who reads this and wants to add any quick circuit making hint/tips feel free! I need your input here. The pictures I have are from a 77 with electronic ignition and a one page diagram from a CTS-2218 manual thats not even close. 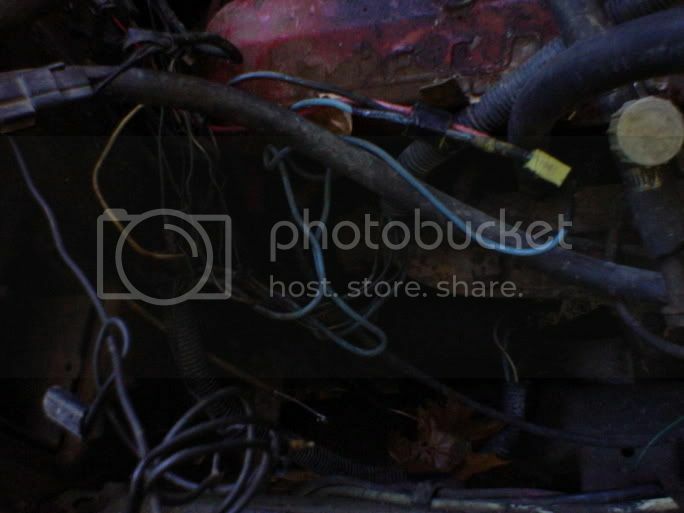 If it has a GM alternator w/the 2-pin plug-in > internal voltage reg. That's what most of us run & stock goes to 85amp. IIRC, there is a Caddy 135amp, but it is a tad larger diameter & requires a different bracket/belt. I've got a '73 I'm working on & the wiring is pristine. Trouble I'm gonna have > the '77 the engine (points) came from was in the same shape as yours & I ran toggles/push buttons & my own wiring. That's all still on the engine & I think I'll leave it .... who needs a key switch in a 4x4. I will connect the appropriate 'hots' for the dash guages/switches tho'. That *should* be easy as there are only 2 'hots' thru the firewall, IDB. Since charging is your prime concern: see how many wires/connections for wires the alt has & if mine is the same > I'll post back the routing of the wires for ya. 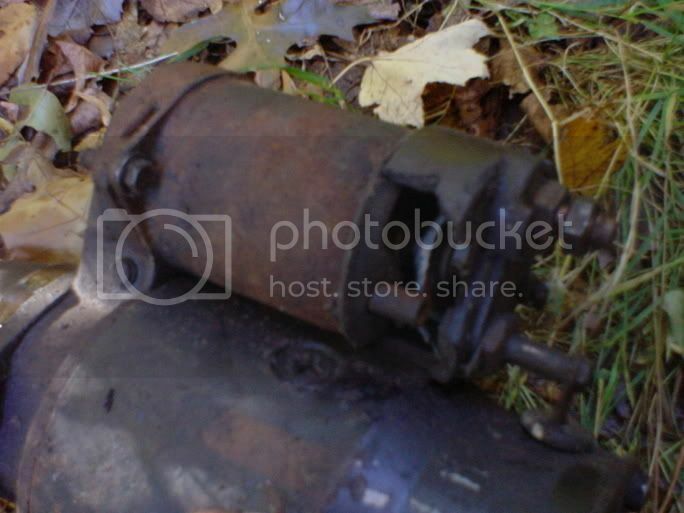 Then we can work on what other starter wires are needed for cranking the starter & the ignition. Dash wiring, brake lights & the like are a pain & not my forte at all. Thanks again for your replies maybe this can help some stranded guy in the future. For anyone that reads this is not a hot start issue I already know the truck has that problem so were going with a new starter and a firewall mounted solenoid later on . One more time "Have a good day!" Looking at the Alt I believe your right it looks like the GM 2 wire plug plus the main 12ga? wire. If you could post me some more goodies I would greatly appreciate it to be better prepared because this truck is 50-70 miles away from any computer...city I think is about 15 miles so when I get there I want all the info I can have with me plus my trusty but rusty tools. Thanks in advance for information. ... I have Service Manual #'s but am skeptical about purchasing because of what I read about how confusing the wiring diagrams are. ---I have heard too many bad things about the wiring systems they have (i.e. wires being too short and them not accepting a return because they say you* cut it), I wouldn't even consider them. 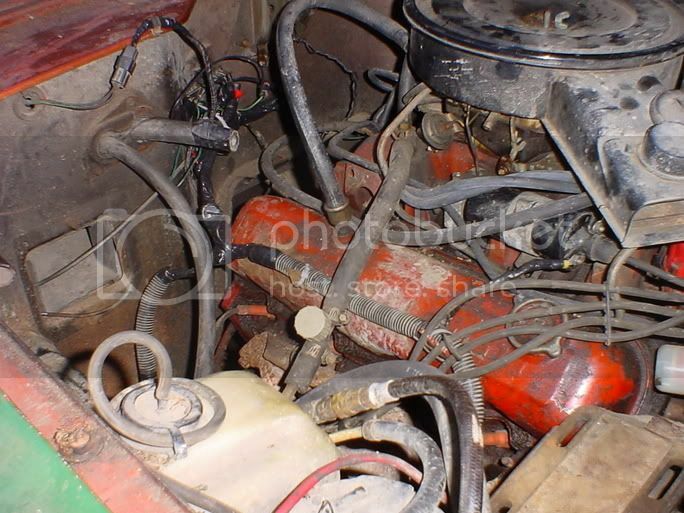 If all you want is an engine harness, maybe Super Scout Specialist has one that is OEM. Good luck getting the correct terminals for the gauges from Painless. ---Your bud's vehicle will only use the "gold box" if he has a Holley electronic ignition, which I doubt with it being a `72... not stock anyway. If the distributor has points, it most undoubtably is not electronic ignition and what you are looking at might be a Decel Throttle Module. DTM is either half the size of a cigarette pack and metal, or the size of a 100s cigarette pack and plastic. A gold box is the size of a 100s cigarette pack squared, about the same size as a Duraspark module for a late model Ford (AKA "black box"). ---I believe a `72 would have had an external voltage regulator, my wiring diagrams even show it for a `78 and I know* a `78 didn't have one, so looking for the voltage regulator shouldn't be on he list. Now, all this is not saying that someone didn't change some components, they could very well have went with a Holley ECM and tossed the points dizzy, but I doubt they went with an alternator with an external regulator... unless the alternator is a Bosch unit... housing has slots all throughout it and could resemble an old time house/office fan's cage. What you have stated about the harness wil be considered greatly I have read a bunch of things about them Maybe it's time to get some spools of wire and a fuse block and sit there and wire up my own harness that would be the best way to fix alll problems at once and save $ because they wanted $350 for the 12 circuit harness I can get the fuse block from my Uncle who runs a GMC dealership and wire from a electric supply house I know a old friend has. Thanks for the inspiration I think I will order the Service Manuals from Binder Books then. I had him go look at alt it is the GM 2wire plug that comes out so it's internal. Your description matches my printout exactly but it does show a Electronic ignition in the scan I have the truck has the heater box removed it's in the back seat none of the sending units are connected on the engine but the wires look like I will be able to get it up and running with the information given by you and the other people who posted. As far as what I thought was a "Gold box" and to what it really is...it's about 5 inches square and 4-5 tall... large heat sink on top so maybe it's not the gold box but just a spark kit I remember putting one like this on an old 1970 Toyota i had once for ignition.(add-on). Thanks again as this will be hard enough being so far from a parts store. ---If this is what you are looking at, it is a "gold box"
---Installing a heat sync is a popular idea, but it doesn't completely solve the problem with the Holley ECM. 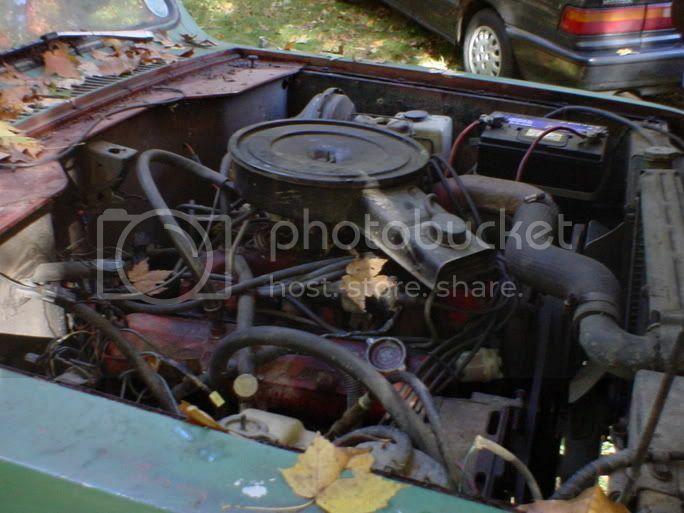 The problem isn't solely because of heat, it is generally because the grounds are bad and/or the ignition switch is left in the "ON" position with the engine off. This morning I take off to go fix that thing I hope this works out. Thanks again to all you for input. I think I will bring a camera and post some pics of the dead Scout being revived! 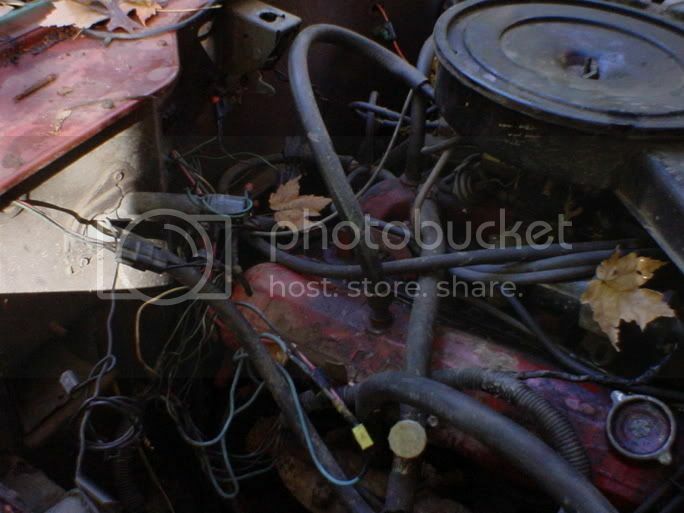 and maybe one of the classic Scout wiring under the hood . Have a good day ! I know mine is going to be busy. You can just see the new starter down there cool! Thats about it I have more questions if anyone reads this maybe you could add some input. I think I have a "no Charge" situation I checked voltage at batt when the engine ran same 12.5 as when engine is off. So I went to the Alt and checked voltage at the 2 wire and the main lug on the back...I got the same 12.5 on the big wire and a whole 2 volts at the 2 wire plug? This is a bad alternator no? Anyone who throws some input here would be greatly appreciated. I will be having some fun posting the updates to this old truck as they happen. Have a good day! Could you send me that diagram ? Mr. Wolfe, this thread is from October of 2004. That's the last time there was any activity on it before you revived it this morning. The Light Line vendors have factory service manuals available for purchase which contain the wiring diagrams and a host of other valuable information. You need the one that covers your year of vehicle, as changes were made to the SII electrical system over the years. They aren't all the same from beginning to end. The manuals aren't cheap, but they're worth the money. I appreciate your service and also appreciate that funds may be tight in your situation. So in the meantime, maybe someone reading this can help with a pdf scan or two from their 1977 manual. I don't have that year of Scout.